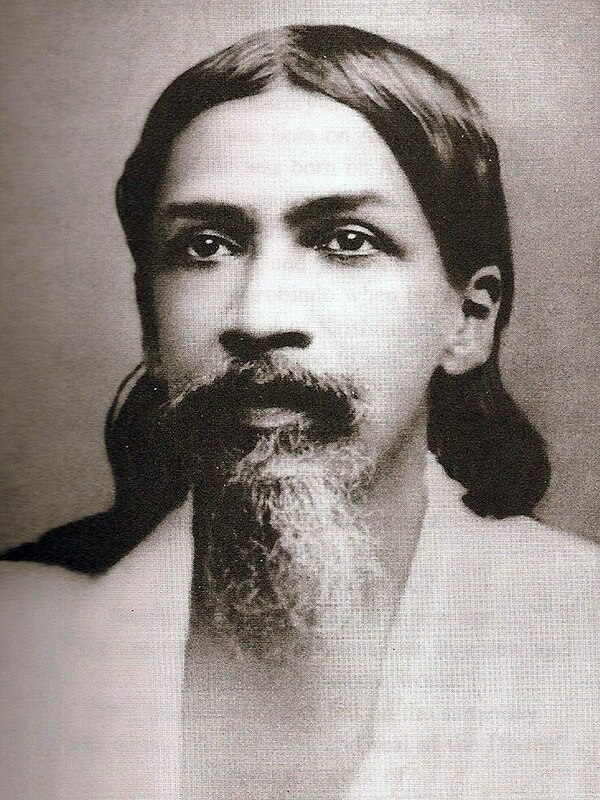 Sri Aurobindo (1872-1950) was an influential Indian guru, poet, and nationalist. He founded an ashram in Pondicherry which is still active today. The community's history has largely been peaceful and uneventful, with the exception of one period in the 1920s. The following narrative, taken from M.P. 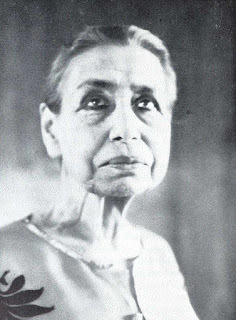 Pandit's biography of Sri Aurobindo, describes what modern observers would call a classic poltergeist case, but in centuries past, it would be labeled as "witchcraft"--with a vengeful cook as the responsible party. It is somewhat reminiscent of the more famous case of the 17th century "Phantom Drummer of Tedworth." About of December 1921 a curious incident took place which was witnessed by a number of people--a poltergeist happening. It was one of those phenomena that constantly occur and baffle the empirical mind of physical science but are easily explicable to those who have some knowledge of the occult side of life, who are aware of the fact that the physical state is not the only state of existence. There are other states, other levels of being and consciousness and there is an interchange, interaction between one plane and another. It is possible to cause things to happen on the physical plane by action on or from the subtler, occult planes. “We had a cook called Vatel. This cook was rather bad-tempered and didn’t like being reproved about his work, Moreover, he was in contact with some Mussulmans who had, it seems, magical powers--they had a book of magic and ability to practise magic. One day, this cook had done something very bad and had been scolded, and he was furious. He had threatened us, saying, ‘You will see, you will be compelled to leave this house.’ We had taken no notice of it. "Two or three days later, I think, someone came and told me that stones had fallen in the courtyard--a few stones, three or four: bits of brick. We wondered who was throwing stones from the next house. We did exactly what we forbid children to do: we went round on the walls and roofs to see if we could find someone or the stones or something, we found nothing. 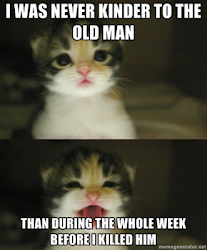 "That happened, I believe, between four and five in the afternoon. As the day declined, the number of stones increased. The next day, there were still more. They started striking the door of the kitchen specially and one of them struck Datta’s (an inmate) arm as she was going to the courtyard. The number increased very much. The interest was growing. And as the interest grew, it produced a kind of effect of multiplication. And the stones began falling in several directions at the same time, in places where there were neither doors nor windows; there was a staircase, but it had no opening in those days: there was only a small bull’s eye. And the stones were falling in the staircase this way (vertically); if they had come through the bull’s eye, they would have come like this (sideways), but they were falling straight down. So I think they all began to become truly interested. I must tell you that this Vatel had informed us that he was ill and for the last two days (since the stones had started falling) he hadn’t come. But he had left his undercook, a young boy of about thirteen or fourteen, quite fat, somewhat lifeless and a little quiet, perhaps a little stupid. And we noticed that when this boy moved around, wherever he went the stones increased. The young men who were there shut the boy up in a room, with all the doors and windows closed; they started making the experiments the spiritists make, ‘Close all the doors, close all the windows.’ And there was the boy sitting there inside and the stones began falling, with all the doors and windows closed! And more and more fell, and finally the boy was wounded in the leg. Then they started feeling the thing was going too far. "I was with Sri Aurobindo: quietly we were working, meditating together. The boys cast a furtive glance to see what was going on and began warning us, for it was perhaps time to tell us that the thing was taking pretty serious proportions. I understood immediately what the matter was. "I must tell you that we had made an attempt earlier to exhaust all possibilities of an ordinary, physical explanation. We had called in the police, informed them that there was somebody throwing stones at us, and they wanted very much to come and see what was happening. So a policeman--who was a fine good fellow--immediately told us: ‘Oh! you have Vatel as your cook! Yes, yes, we know what it is!’ He had a loaded pistol and stood waiting there in the courtyard--not a stone! I was on the terrace with Sri Aurobindo; I said to Sri Aurobindo: ‘That’s a bit too bad, we call the police and just then the stones stop falling! But that is very annoying, in this way he will think we haven’t told the truth for no stones are falling. Instantaneously the stones began falling again. You should note that the stones were falling quite a way off from the terrace and not one of them came anywhere near us. So the policeman said: ‘It is not worthwhile, my staying here. I know what it is, it is Vatel who has done this against you. I am going’. "I really felt so much like laughing, but still I kept a serious face and told them: ‘Well, you must stop this, you understand!’ Then they told me: ’Don’t you want to keep us? We shall do all that you ask.’ ‘Ah!’ I thought, ‘let us see, this is perhaps going to be interesting.’ I said to them, ‘But what can you do?’ ‘We know how to throw stones.’--‘That doesn’t interest me at all, I don’t want to throw stones at anyone...But could you perchance bring me some flowers? Can you bring some roses?’ Then they looked at each other in great dismay and answered: ‘No, we are not made for that, we don’t know how to do it.’ I said: ‘1 don’t need you, go away, and take care specially never to come back for otherwise it will be disastrous!’ They ran away and never came back. "There was one thing I had noticed: it was only at the level of the roof that the stones were seen--from the roof, downwards, we saw the stones; just till the roof, above it there were no stones. That meant it was like an automatic formation. In the air nothing could be seen: they materialised in the atmosphere of the house and fell. And to complete the movement, the next morning (all that happened in the evening), I came down to pay a visit to the kitchen--there were pillars in the kitchen--and upon one of the pillars I found some signs with numbers as though made with a bit of charcoal, very roughly drawn, and also words in Tamil. Then I rubbed out everything carefully and made an invocation, and so it was finished, the comedy came to an end. I like the little entities. What can you do? We can throw stones! Well, yeah, we knew that... Useless little entities. Poor little stone pixies, what a life.